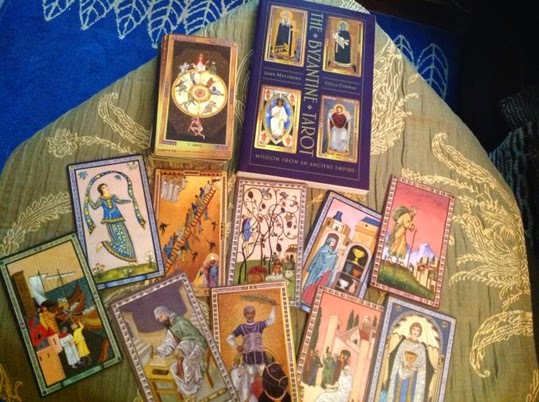 The Byzantine Tarot by John Matthews and Cilla Conway has just been officially launched in UK (it arrives in US in July). I'm really pleased that this lovely deck, which has the subtitle Wisdom from an Ancient Empire, is now out as I saw some of the artwork last year and was stunned by it. I hope to get a copy myself and do a full review, but if you want to find out a bit more or order a copy, visit http://www.hallowquest.org.uk/. It can also be ordered via Amazon.